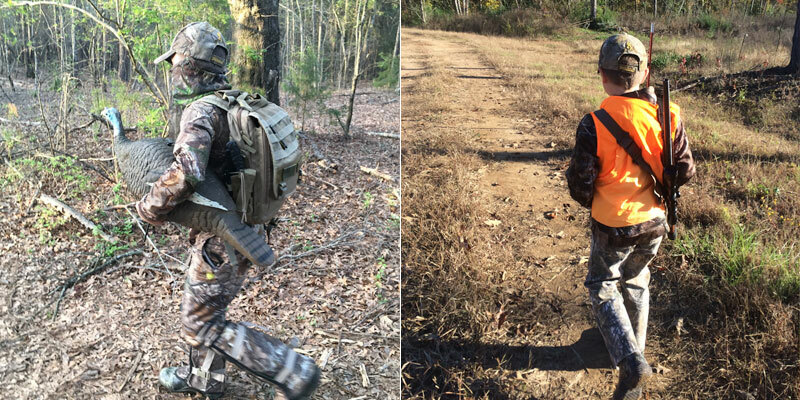 Why Are There Fewer Alabama Hunters Than Ever Before and Who’s Missing Out? Throughout modern history, Alabama, like many of its southern neighbors, has benefited from hunting. In addition to hunting pumping 2-billion dollars into the Alabama economy each year, the positive contributions of hunters on the culture and the conservation of natural resources are irreplaceable. Perhaps most of all, generations of Alabamians have used hunting as a way to create family memories and build bonds that represent a healthy and positive activity in which parents not only spend time with their children but teach them invaluable life lessons. Nevertheless, Alabama is in the midst of a deeply-concerning, decades-long decline in hunters. This decline is driven by numerous factors that range from urbanization to social trends. What’s more, many activities compete for discretionary time. Moreover, just as the kids who once played backyard football now spend more time in front of a video game console, our entire society has likewise moved inside, becoming increasingly disconnected from the natural world. To paraphrase Richard Louv, author of Last Child in the Woods, a highly-informative book about what Louv refers to as “nature deficit disorder”: When we were growing up, we knew every root and stick and stone on the footpaths behind our houses. Today’s children have never even been on those footpaths. Another factor is that the cost of hunting has grown higher and higher over the years, as the economic value was attached to hunting land and related recreational opportunity. The days of free or nominally-priced hunting permits for thousands of acres of land are only a foggy memory. Cost is a determining factor for most Alabama hunters. Demographic research by the most qualified experts in the country clearly shows that the vast majority of Alabama hunters are not advantaged economically, educationally, or otherwise. In other words, the rank and file hunter in Alabama can’t afford to purchase or lease land, or even join a hunting club, so they are left to the use of public land or an occasional invitation from someone with permission to private land. • Special Youth Hunting Days and other hunter recruitment opportunities have been included in hunting seasons regulations. Special youth hunts are scheduled at places like the Stimpson Sanctuary in Clarke County. • The Alabama Chapter of the National Wild Turkey Federation has partnered with the Wildlife and Freshwater Fisheries Division for many years to conduct youth events, and now even owns an incredible hunting property only a few minutes from Montgomery devoted to youth hunter recruitment. • Alabama has been a leader nationally in partnership with the Archery Trade Association. The Archery in the Schools Program and Community Archery Parks offer excellent opportunities for this gateway activity to hunting. • The State of Alabama has an aggressive land acquisition program through Forever Wild, and a “No-net-loss of public hunting land” statute is codified into the law of Alabama. • Alabama offers game populations, hunting seasons, and bag limits that are the envy of most other states. Ample opportunities for hunting exist on private and public lands across the state. There are 33 intensively-managed Wildlife Management Areas, encompassing 756,000 acres from one end of the state to the other. In spite of these wonderful efforts, Alabama’s hunting participation and hunting license sales continue to decline. Once again, the vast majority of Alabama’s are hard-working, middle-class people. Most are only occasional participants; one-third do not even hunt as frequently as every year. That’s why it’s important that Alabama not build its hunting programs around avid, advantaged hunters, but around this much larger population of hunters who are increasingly being priced out of the market. What’s more, only ten percent of those who hunt in Alabama are nonresidents, and the overwhelming majority of our hunters will not travel more than one county away from where they live for hunting. Simplify hunting laws: Research shows that overly-complex rules and regulations negatively impact hunting participation, so simplifying these rules would encourage greater participation. Treat All Hunters the Same: While gun deer hunters are the largest segment of our hunters, archery deer hunters, fall turkey hunters, rabbit hunters, squirrel hunters, and other small-game hunters all deserve to have the opportunity to hunt at times when conditions are good. Product-driven hunting regulations are a slippery slope, failing to recognize that most hunters cannot afford to go out and buy the latest fad or waste money on bait or feeders. Hopefully, with wise efforts to encourage a culture of hunting in our state, Alabama can continue to foster this great endeavor for generations to come. About the Author: Mr. Corky Pugh spent 35 years working for the state of Alabama, 12 of which he served as Director of Wildlife and Freshwater Fisheries. Mr. Pugh is now the executive director of the Hunting Heritage Foundation, an organization committed to keeping hunting opportunities available for all Alabamians.